Network BET Just Bought Most of Our Favorite 90’s Sitcoms!!! BET Networks has just purchased the rights and licenses to a bunch of popular 1990’s sitcoms in a deal with Warner Bros. Some of the shows included are ‘The Fresh Prince Of Bel Air’, ‘Family Matters’, ‘Martin’, ‘The Jamie Foxx Show’, and ‘The Wayan Bros’. All of these will air on BET. This is HUGE for BET. I don’t care who you are, once or twice a week, you just need 22 mintes of Fresh Prince. iI’m curious to see if these series will air from start to finish, or random episodes will appear everyday. 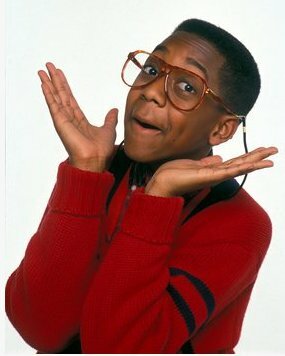 I’d like to see ‘Family Matters‘ air from beginning to end again, as I have not seen that show since the 90s. Nick at Nite will continue to air ‘Full House‘ and MTV2 will air ‘Living Single‘. I’m going to be singing these theme songs non-stop now. Martin Lawrence and Kelsey Grammer Are Looking To Team Up For New Comedy Series!!! Dax Shepard Is Steering The Mystery Machine For Scooby-Doo Film!!! This entry was posted on Wednesday, March 20th, 2013 at 12:49 pm	and is filed under News, Television. You can follow any responses to this entry through the RSS 2.0 feed. You can skip to the end and leave a response. Pinging is currently not allowed. « Check Out the Trailer for ‘Welcome to the Punch’!! !